Poll: Surprise! A New Zelda Is In Development, But What Do You Want From It? To the surprise of absolutely nobody at all, Nintendo has recently confirmed that work has already begun on the next instalment in the Zelda franchise. The blindingly obvious announcement came in The Legend of Zelda: Breath of the Wild: Master Works, a book which has recently launched in Japan and contains production material and artwork from the epic Switch and Wii U outing. Given the lengthy development period Breath of the Wild endured, it's highly unlikely that we'll see anything of this new game any time soon, but that doesn't mean we can't wildly speculate about what form it will take. As we discussed not so long ago on this very site, Breath of the Wild is perhaps the most drastic re-imagining of the core Zelda concept since the inception of the series on the NES in the '80s. Can the franchise ever return to its more linear roots after the gloriously expansive open-world gameplay of Link's latest adventure? Will players be content to have their freedom and agency scaled back in order to re-establish "traditional" elements such as rigid gear-gated dungeons, unbreakable weapons and classic items, like the Hook Shot? The team behind the Zelda series is certainly at an interesting crossroads, and as ever, we'd love to hear what you think they should do with the next entry. Be sure to cast your vote in the poll below and then post a comment explaining your choice, and what shape you hope the next Zelda game will take. I didn't want Breath of the Wild, and it's now my favorite in the series; I trust Nintendo to make something amazing no matter how much or how little I think I want it. I want it to be out now. Zelda 2 remake on 3DS. Give us that while you work on another huge game like BOTW for Switch. I know I’m the minority, but I’d prefer a more traditional Zelda, either 2D or 3D, instead of another Breath of the Wild. Not that I didn’t like BOTW, but I felt it was too big. I like larger and more varied dungeons, a better sense of progression, and to have the the areas of the overworld feel more distinct. I’m glad Nintendo changed the formula up, but I’m hoping for another traditional Zelda title for the next entry. Link's Awakening is about to be 25 years old. It's time for a remake ! But in te meantime I hope there'll be another Botw dlc. As great as the game was there are always improvements to be had, like actual flying, and more current story. But with 3DS on it's last legs it will be interesting to see if Switch gets a 2D follow up next or if they try to make a 2D Zelda on mobile instead. This article y'all did is a great link to this poll. The comment section is so split, I wonder how many of them will stick to their guns in this poll. At this point it's best to defer to Nintendo's decision. It looks like it will be great regardless of what path they take. So I voted the 5th option. I want that art work. Honestly I would love to see an expansion on the BOTW version of Hyrule; perhaps go back to the time period where the Sheikah helped defeat Ganon and the world was more populated. Hyrule is finally huge in the way that it would seem Miyamoto-dono always wanted, so I would love to see it at the height of one of its prosperous times before the great evil comes to sack it again. That was one thing that really stuck with me in OoT as a kid, as you saw the world whole (brink of destruction but still) and then you saw it after the King of Evil took over. I would like to see Ganon try to do something with his power instead of turn the world into a barren husk though. I get that he is evil unending but its getting ....trite at this point. Either way I will play it. How about a combo of traditional plus Botw, with added development on the mechanics and better story. I'd love another open-world Zelda, but I'd like more traditional dungeon structure. Preferably similar to how ALBW did it where you can go to them in any order. Terrible poll. No option for Nintendo taking Zelda further away from the tradition formula, except for a joke about CDi Zelda. I think it would be a big mistake on Nintendo's behalf to go back to the formula. They should explore other paths. They could go further on the RPG aspects. Or they could take it in a bold new direction. @Fazermint What would be a step forward? Virtual Reality Zelda? @wiggleronacid Looks like I'm in the minority too. I would much prefer a top down Zelda (Link to the Past, Link Between Worlds) than another open world outing so soon. I think it would be great if Nintendo setup a fairly regular cadence, alternating between the two. However, I think it would be pretty hard for me to be upset, regardless of what Nintendo's released. When's the last time we've played a bad Zelda game? Whatever it is, I'm sure it will be fine. Assuming it's not some mobile game. @Damo I'd recommend you add an option for "a mix between the open-world style in Breath of the Wild and the classic style found in games like Ocarina of Time." I'd pick that option, and I feel others would as well. I don't like BOTW at all,so "a 3D return to the classic roots, like Ocarina of Time or Wind Waker". I wouldn't mind A Link to the Past using the ALBW engine. Also MM and OoT in HD. As for the next in the series a OoT style or Open world would be awesome. Same open world as BOTW but back to ths roots with classic tropes and gears and whatnot. 1 big dungeon for each of the region, plus a few medium-sized ones peppered in between. I want a hybrid of the 2. Give me an open world like BotW with a bunch of dungeons, but tier them. Let the Game world evolve so that actions in tier 1 dungeons affect the wider world and unlock the second tier. But while they are at work with that, I hope they give us a 3D remake of Zelda 2 or Minish Cap or Link's Awakening on 3DS. @ElkinFencer10 I did want Breath of the Wild, and now it's one of my least favourite in the series. I can't remember whether or not I had previously posted suggestions of a "living world" Zelda game, perhaps in the style of the Wind Waker series, or at least one that depicts Link in a more youthful and whimsical light. The game would involve (and it's purely optional) managing and controlling the distribution of resources, such as via planting (or destroying) vegetation, which would then affect the migration of wildlife, the establishment of towns, and the survival of entire communities and species (including flora, which can have dire consequences if certain species rely on them for sustenance), and any destructive behaviours can have far-reaching consequences on the environment and the NPCs that reside within. Every decision has consequences, and it's up to the player to decide and manage how to make Hyrule flourish or to wreck havoc (to the point where all life in Hyrule can, theoretically, be extinct). For example, destroying the habitats of certain monsters/animals may force them to migrate to the nearest town as they wreck havoc upon everything in their wake, forcing residents to either fend for themselves or flee (whether that be a nearby village, a forest for temporary respite, or caves or slums where humans have hardly any chance of survival). Similarly, a village can become infested with certain pests if their habitats are destroyed. I imagine that such a game can have endless replay value and can dramatically change the outcome of a final boss (if there is to be one), and it's the only way I can see them topping Breath of the Wild. I want it to look like the artwork featured in this post. It's dope. It's strange, because I feel like Breath of the Wild might be one of my favorite video games, but it's not my favorite Zelda game. Links Awakening and A Link Between Worlds are great examples of the top-down Zelda formula perfected. And Ocarina of Time has a dramatic story with vivid world building that BotW definitely lacked. So, if they're going for another open world sandbox game, going back to their formulaic roots might be a step backwards for gameplay, but allow a more story driven experience. Or maybe another Four Swords game that allows for online play. I would also be okay with that. I want a linear game, with tons of dungeons, cool items and a great story. And also co-op multiplayer. I'd love either another open world adventure, or something done like a Link Between Worlds. Either way, I will play it. Both of those games were amazing, but BotW blew my socks off, and I simply couldn't put it down. As long as it's not regressing to the previous formula of "OoT+," then I'm good. @Tibob I was skimming through comments in order to reach the “Leave a comment” panel and I couldn’t help but notice yours: that’s exactly what I came here to say! Please Nintendo, di something with Link’s Awakening, it’s one of my all-time favorite games! A sequel, remake, I don’t care: just do something! EDIT: the page stalled and I kept pressing “send”, so I posted this comment three times, my bad. Oh, and I forgot to mention my pick: I chose “whatever, I’ll play any Zelda they’ll be throwing at me” (cause that’s the truth, I love them all), but I also really wanted to vote for a 2D Zelda, as I hope that branch of the franchise doesn’t get pruned. ALBW did a great job shaking up the formula and gave us a lot of great dungeons; I mean, I’ve never really liked ALTTP (yeah, I know, get those pitchforks out lol), but I loved ALBW to bits. "I don't really mind which route Nintendo takes, I'll play it regardless" and "I like to be surprised, and I trust Nintendo to take the series in whichever direction it sees fit"
Open world with proper dungeons please! With that said though, I'd like a bit more structure, but keep the game as open as possible. Give us classic weapons! Even if they break it's better to have them as alternative ways to solve puzzles IF you have them at the time, then to not have them at all. I'd love to see the Hookshot, Slingshot, Deku Nuts and Sticks, Bombchus, Iron Boots, Diving Scales, Ball and Chain... hell... LINK'S CROSSBOW!! I'd love to see these items repurposed for Breath of the Wild's playstyle! OoT HD remake on the Switch while we're waiting for another BOTW-esque outing. BOTW is my #1 Zelda game with OoT a strong #2. Another Zelda is coming on the switch. No surprise. They did start on breath of the wild since 2011 for the U.
I'm not voting until there is a Zelda II-alike option on there. I'm usually open-minded to all Zelda's and just let them come to me. I'm good with whatever direction Nintendo goes next as I will play the next Zelda regardless. It's like a life duty for me. With that said, I feel like Nintendo will simply reuse the same engine from BotW but build upon it. Someone mentioned it already, but actual flying would be nice. I'd like to have elite, hard-to-get, unbreakable weapons among the breakable ones. A traditional "find the 3 Triforce pieces" with 10 full sized dungeons. Hook shot returning. For me BotW is not so much about the open world, but its mechanics that give you so much freedom. For instance, after BotW I played a little of Majora's Mask, and there were just so many times I wished I could just paraglide instead of having to track which ladder took me down to where I needed to go. I want a top-down 2 player co-op Zelda game in the vain of Four Swords. It would be perfect for the Switch, because of the two joycons. Whoever voted for CDi games should be strapped onto a chair and made to play all three of them with the original remote controller. Then you will know true pain. I would say Breath of the Wild is closer to the first Legend of Zelda than any other console Zelda I have played in the recent past. Classic Zelda to me is the game style of dropping Link into an unknown world with little to no direction and have him figure out his way. That is the Zelda game play style I prefer. But absolutely keep the BotW style going! I really have grown to appreciate the strategy that weapon breaking brings to the table. It is a resource management game too. I don't really care which path they take, I know it will be incredible regardless, let's just hope it doesn't take another 6 to 7 years. The BotW style seems to me to have diminishing returns returns. But let’s meet in the middle, new mechanics in a smaller more realized world. As long as the game is good, I don't really mind which direction they take it in. I just want a Zelda game with the same art direction as Twilight princess. I think the old classic formula works better for Zelda but since I'm not a fan of this series I would accept an open world too if they actually create a game that takes advantage from it. Breath of the wild was really devalued by the way they decided to make the open world, every interesting aspect of Zelda games was missing, they should do something really different to create a good open world Zelda. But for me the most important thing is that its aesthetics should be identical to Twilight princess. Seeing as how there are more than enough classic Zelda games, I would love to see them take the foundation that has been laid out by Breath of the Wild, and expand on it! Increase the variety of enemy types, have a combination of shrines and REAL dungeons, fix the stupid rain issue (Hyrule shouldn't feel like friggin' Seattle in the Fall/Spring), etc. Ideally I'd like a OoT or TP story, dungeons etc but taking place in the game mechanics of BotW. I love jumping, climbing, and gliding but I really miss the true dungeons found in previous games. I also think it'll come sooner rather than later. This game took a while because they had to fully design the game engine, physics, style, etc. they have that now. I reckon this'll be a Majora's Mask style reuse of elements. At least make better dungeons, I mean the world in BOTW was so good but the shrines were not enough of a replacement. I know Skyward Sword gets a lot of flack for its segmented overworld, but it was hard for me to go from quality dungeon design from that game(including te overworld) to this. BOTW nailed the sense of adventure, it is without a doubt one of the best games Nintendo ever made but because it is a Zelda game, the difference in dungeon design is so jarring. An open world Zelda in a futuristic setting. Don't know how it could work, but it's floating in my head since almost decade and I know that Nintendo could make it work. Open world, but multi dimensional. Like a time travel story. Something to bridge the gap between BOTW and everything that came before. A story that makes Hyrule whole once again. An opportunity to make like travel into OOT, and WW and TP and somehow bend the story and change the future. Just a game like BOTW but with Dungeons, lots of them! @tourjeff and more special items than the runes please. I would like a more focused world with higher attention paid to NPC's, day/night cycles, routines and lots of detail. Dungeons with unique character and highly atmospheric overworld locations. BOTW was impressive with its scope, but as about as deep as a puddle. @Meowpheel And Mario's Missing is basically the same thing as Super Mario World. I want BotW Majora's Mask. A zanier game in a crazier world using same engine and game mechanics. I feel like something four swords with multiple players (with friends), having each character be from a different race, and have an open world like BTW, maybe not as huge but still big...... Maybe do cell shading like Wind Waker. Give me proper dungeons and weapons that doesn't shatter in pudding. So, something between old Zelda and Bleh of the Mild. Surprise? I don't know what in the world the pre-production guys on the Zelda Team would have been doing for the past year and a half if not conceptualizing a new Zelda game. Smartypants remarks aside, I'd like to see them change up some of the fighting mechanics, and maybe not work with as many armors and weapons. A more coherent and in-world setup for puzzles might be nice too, even if I realize that this means we wouldn't get as many of them. I need more Breath of the Wild...but maybe more populated. Sometimes BOTW feels very empty, especially if a Blood Moon hasn't occurred in a while. But I love the open concept of the game, the freedom! And I really didn't care that weapons broke. I have all the amiibo, I could get decent weapons back from scanning them. Or going to that village I helped build and buying stuff from that merchant on the rooftop. Wasn't a big deal. And the weapons I absolutely wanted to keep, like the Champions' weapons, I displayed in my house in Hateno. I don't think I could go back to a classic Zelda on a home console. Maybe if Nintendo ever made a truly dedicated 3DS successor, then fine. But on Switch, or whatever it's successor is, I need the epic grandeur of Breath of the Wild......just amped up! Shouldn't take as long to develop as BotW. This new game will be built on the foundation BotW laid down. I expect we'll see it within three years. Don’t make weapons break (or at least have them last longer or let me repair them). Have themed DUNGEONS, regardless of item lock. Just friggin dungeons, man. Some sort of hookshot/grapple. I need to feel like batman. An extra armor slot for gloves. Make gloves that make it easier to climb in the rain. I want the openworld from breath of the wild, villages from previous zelda games, the magic elements from ocarina of time ocarina fluit, Dins fire attack, farores wind, nayrus love, the fierce deity mask or something similar in transformation it makes Link look extremely powerful! The voice acting from breath of the wild, the mysterious element from majoras mask. An open world with the Zelda items which are obtained during quests. This way you can enter several places with you could not enter before when you didn't had that item. More world will be unlocked. And the most important thing imo: bigger/more real dungeons instead of many many shrines! I don't care what the game is, I just want something with an actual good story and characters. More Majora, less BotW please. I would like to see segments of open world with no climbing and more tools to get to odd areas. So like the same amount of freedom but you have to do it with equipment rather than just climbing and hang gliding. Maybe implement a monster taming system for fun side quests. I would like open-world with like 20 dungeons instead of a bunch of shrines. Oh, and if the dungeons could be open-dungeon too that'd be amazing! and with botw finished that team is working on the second. I think going back around to a more linear adventure would be fine, so long as there are enough new elements and twists to make it interesting and fresh. With Nintendo you can guarantee this will be the case. @Octane Is it? I don't think anyone had a problem with Nintendo making a few games to iterate on the formula established by OoT. Most of the best Zelda games were better iterations of OoT. The problem is that Nintendo ran with this formula for nearly 15 years. I think Nintendo can and absolutely should improve on the "open-air" design of BotW in future games. I just don't want to see BotW 5.0 in 2030, you know? Also, most people don't blindly praise BotW for changing the formula, but for changing the formula is ways they liked. Every single time I questioned Nintendo's decisions with the series I've been proven wrong. I now trust Nintendo to continue making great Zelda games and I look forward to being surprised. Bring back themed dungeons. Ones that don’t take 7 minutes to beat and then cap them off with a forgettable boss battle that takes 2 minutes to beat. Tiered weapons. Low level weapons break. Mid level weapons dull and eventually break. High level weapons are more durable but eventually dull. The Master Sword should never EVER dull. Ease up on all the rain or provide a piece of equipment that negates the effects of rain halfway through the game. And make Zora’s Domain bigger and more imaginative. It’s a water world, have fun with that. Let them make whatever game they want. They do it better than all of us here lol! Keep the open world formula, but make the dungeons better. If it means getting rid of the shrines, so be it. I just want good dungeons. Breath of the Wild didn't really have that IMO. Vah Ruta was pretty good, though. But the fact that the shrines and Divine Beasts all shared the same aesthetic was so disappointing, and the dungeons themselves were mostly pretty "meh". And please make the world actually interesting to explore. It was cool to see the different aesthetics in the various areas and the different wildlife, but that was about it. Everything else was so incredibly samey throughout the whole map. I don't know about you guys, but finding a stable or a monster camp or a shrine or a Korok seed over and over stopped being interesting after the first 20 hours or so. I have no idea what people are talking about when they say that exploring this world was enthralling. I'm happy that some people felt that way, but I almost feel like I was playing a completely different game from them. I stopped being enthralled once I realized that the world and side quests and NPCs were so copy and pasted. And please make characters that aren't incredibly shallow (Zelda was probably the only exception to this, but even she wasn't exceptionally deep) and a good story. Breath of the Wild had neither of those. I think the open world format can work for Zelda, but I'm not confident in Nintendo's ability to make a truly great open world game after I played Breath of the Wild. Maybe they should stick with the traditional formula if the next game is a mile wide but an inch deep like BotW. Some sort of socket style system to upgrade existing items. It should be a mix of old and new, keep the open world, but add dungeons similar to the old games with new items and gimmicks. Seems like a no brainer to me. Also fix some of BotW shortcomings by adding a lot of various enemy types, making the overworld a bit more varied and make the music actually melodic again, I'm sorry but a random piano string here and there doesn't cut it as music to me, being an open world game is no excuse. Personally, I would prefer a throwback to LttP by way of 3D Dot Game Heroes visuals!! But I have a gut feeling Nintendo will do what they did with Zelda on 64 with Ocarina & MM and use the BotW engine again for another game soon.. The weapon breaking kind of keeps me from going back to BoTW. I did not like the combat in all that much. I avoided the big fights and basically have not been back to the game even though it was over 100 hours logged. Hunting, cooking thing as well as the weapon thing should be optional..... extras... I kind of think that ruined the game for me. I may try again. Something like BoTW with more of the WindWaker focuses game would go a long way. BoTW could have been a self-titled, non-Zelda game and they would have a new franchise where the setting is the actual character, not the non-descript generic "avatar" link became. A huge accomplishment but these things would help it meet in the middle somewhere. Though a 2d open world sounds interesting too doesn't it? I strongly believe they should do a zelda game with final fantasy elements in the sense of character progression. As much as I love botw. There's things I really hate. Which is the character progression and weapon breaks. They should have XP involved with lvl capped at 100. As for dungeons, instead of hearts and stamina. They should do certain rare gear after beating the boss at that said dungeon. So it gives players an incentive to do so. BotW 2, please and thank you. Open world be fine as long as they improve on what they started in BotW. Remove the weapon durability nonsense, add meaning side quests, add places to explore other than copy and paste shrines, and have an actual interesting story. @wiggleronacid absolutely respectfully could not disagree more. Going back to play Twilight Princess HD after BotW was like... I dunno, horse and carriage after driving a car? The next Zelda most definitely needs to follow in line with the BotW approach. There's so much to expand on, or tweak, or alter, or flesh out. The ability to climb anything anywhere coupled with paragliding singlehandedly made that game the best thing to come out in a decade. Maybe it's just me, but I don't think open world games are for me. I've put in 120 odd hours to BotW and I still haven't finished it. And I've come to the point where I'm just not going to put any more time into it with 2 devine beasts left. I just don't want to go back to it anymore. I'd rather a top down or a game not set in Hyrule. Or, a 30hour Zelda game that's dark, but uses the assets of BotW so it can be released in a year or two from now. Honestly a Zelda RPG would be nice, if Mario can be in an RPG, Link could as well. I like to see the side of Link of what he would act like if he's the leader of the group and not just a loner all the time. Just improve what botw lakced, more enemies, true dungeons like "Fire Temple, Forest Temple you got the picture and, well looks like a good way to start for me. I'm not a big fan of open world games in general so didn't really like BotW and it's one of my least favourite Zeldas. I felt like it could have been re-skinned with a non-Zelda IP and I wouldn't have noticed the difference so I'm worried about my future enjoyment of the series, which I have loved up until now. The general style of BotW could work with a drastically smaller world filled with proper dungeons and better puzzles, and the awful weapon breaking/cooking/rain mechanics stripped out. BotW bored and disappointed me so I prefer any other option. My preference would be 2D like Minish Cap (I adore that game) but high res art. Breath of the Wild style, that's it, 3D and all. The old game clearly outside of the eyes of the most die hard of series fanboys was getting boring and long in the tooth turned into a sad drawn out slightly changed up endless re-run. BotW is fresh, this is needed to survive going forward style and all. I would remove the quickly breaking weapons though. Personally, I hope it has a multiplayer focus and lots of micro transactions and loot boxes. Also, I'm kind of surprised at all the BotW bashing, it's almost hate in some cases. Haven't played it myself yet, but I've seen so many great reviews, Let's Play's and what not, which only makes me more eager to play it. And I see practically no bad things, but maybe I'm just one of those Zelda fans that actually likes all the games (except of course the CD-i ones) since I have always just been able to enjoy anything that Nintendo rolled out, so that was also my choice in the poll: whatever they'll release will probably be good enough for me to enjoy. Back then, I was also pretty enthusiastic about Wind Waker, in the midst of a sh**storm of outrage about the ridiculous and cartoony looking aesthetics. What I wouldn't want for a major console title, is a 2D Zelda, though. The Switch might also be a portable console, but a 2D game would have to be damn good story-wise, and large too, for it to be considered to be a worthy, modern day console version. For me, a 2D outing would be no more than a side dish, like the DS/3DS games, but not a full-on console game. A full-fledged 3D game just has so much more potential to be immersive, and there are of course also far more options aesthetic-wise. Oh well, to each their own, I guess. More openworld games like The Legend of Zelda '86, Wind Waker and Breath of the Wild for a while, doesn't matter if 2D or 3D (for me at least - the TLoZ/BotW 2D-demo looked fun). We already have like 13 "classic" Zelda games, and many of the complainers here have never played some of them. If you want that style I recommend getting your hands on the ones you have missed. So come on, let's be fair and let the next 10 Zelda games be openworld. I would like to see a remaster of Majora Mask for switch. plz. I want BOTW 2, Ocarina & Majora Remastered for Switch, Zelda MMO and BS Zelda remake. And maybe some kind of motion control sword slashing game. I've just started replaying Windwaker and I get a much better sense of exploration when looking out to sea wondering where the wind will take you. Also for everything that is claimed to be new in BOTW, much of it has its roots in this game such as taking enemy weapons. Perhaps that is the key, Link gets his own gear but can carry a limited supply of weapons from his enemies. More RPG elements, possibly companions/co-op. But more life into the NPC's is absolutely needed if it's another open world game. Non-breakable weapon system, put in upgrades/adjustments and so on instead. There's not an option for me on this poll. I like botw, but I feel that a hybrid between old Zelda and new is what I want. The game could be entirely playable with what you receive at the outset, but use item gates and side quests to reward and encourage deeper exploration. I think depth is one of the two major things that BotW was lacking. The second was context for the shrines. Instead of having the shrines be outside the world, devoid of connection, integrate those puzzle mechanics with areas, villages, NPCs, and sidequests within the world. I don't want puzzle solving without context. Assemble the shrines together into a single package, slap any character you want on it, and it's a (fun) puzzle game, but it's not Zelda. The context of the puzzle, its connection to the world, is what makes it Zelda. I want a 3D open world like breath of the wild but I would like more dungeons like old games and less of the “shrine hunter” that BoTW” was. Bring back the old school weapons but make upgrading them part of the requirements. I could definitely do without all the weapon breaking. None of the weapons really felt special in BotW and if they did I didn’t want to use them because their use was so limited. I think I'd like another like Wind Waker or Ocarina of Time type game. I LOVE Breath of the Wild, but I would like to see some more traditional elements return. Also a more structured story. They should stick with Breath of the Wild's engine, but add more dungeons, a more developed story, and a better weapons/armor upgrade system (and more interesting side quests). It would be the greatest game ever made. I want the style of BoTW with more overworld bosses and less empty space. If you are going to do open world you definitely need more to fill it. The master mode needs to be included in the base game and the monster variability should be much much better. Yeah, great but please, remake or remaster THE LEGEND OF ZELDA, THE LEGEND OF LINK, A LINK TO THE PAST, A LINK BETWEEN WORLDS, LINK'S AWAKENING, OCARINA OF TIME, MAJORA'S MASK, ORACLE OF SEASONS, ORACLE OF AGES, WIND WAKER, THE MINISH CAP, TWILIGHT PRINCESS, PHANTOM HOURGLASS, SPIRIT TRACKS and SKYWARD SWORD for the SWITCH, Nintendo. If they used BoTW engine, it could be less time, it would be nice if they added real dungeons to the mix, but kept them optional, however provided items that would be useful/fun. Anything as long as it’s nothing like BOTW. I know everyone else loves it but I just don’t see the appeal, especially when I see some people saying they’ve put 300 hours into their save! Something the length of Ocarina of Time would be perfect in my book. I hope people realize that there are two Zelda development teams: one that develops the mainline 3D Zelda entries (Breath of the Wild, Skyward Sword, Twilight Princess, etc) and another that develops the 2D Zelda entries (Link Between Worlds, Spirit Tracks, Phantom Hourglass, etc). Not to mention Grezzo, who developed Triforce Heroes and Ocarina of Time + Majora's Mask 3D. The Zelda game that Aonuma is referring to is the new 3D Zelda that will succeed Breath of the Wild. However, I am 99% confident that a new there is also a 2D Zelda game in the works that will be released before the Breath of the Wild successor. We might also see ports/remasters of older Zelda titles as well. And I am 100% certain that the new 3D Zelda will be open-air. Aonuma confirmed that himself. Anyone expecting the 3D Zelda games to return to the old formula established by Link to the Past/Ocarina of Time will be sorely, sorely disappointed. @Giygas_95 Yeah, as much as I enjoyed Breath of the Wild, a few of the design choices held it back from true greatness, in my opinion. After finishing the main story elements I didn't feel any motivation to find all the shrines or do the side quests, nevermind looking for korok seeds. But the foundation is there for what could be a near perfect game. @Tibob If they did a remake I'd only want it with Link to the Past pixel art. I might be in the minority but I don't like the rendered look of Link Between Worlds. Well of course it is, BOTW was 4-5 years in development. Yes another BotW BUT with some really tight and focused, story based or "dungeon" designed areas on the map. Like mini versions of a Hyrule Castle. There's a "point" you must reach, have several ways to get to it, but the area itself feels like a small sandbox within an open world. Also would want some really creative and "fantastical" environments. Give me an area that looks like the Twilight realm. Give me an area where the vegetation looks alien to me. Also, if you do a Korok seed sort of thing, once you discover there's a puzzle, make the puzzle a little more engaging or thinky. @westman98 I wonder if the 2d team is going to take that BotW proof of concept NES style "game" and flesh it out for a release. @StupidName64 Yes. While I’d love to see them pull a ‘Majora’s Mask’ with the BotW engine, that will be a ways off yet. A Four Swords type game that makes clever use of local (and perhaps, dare I say, online) multiplayer would be most welcome in the interim. I don't really mind anything they throw at us. As long as they take their time, because I have a big enough backlog as it is. Though a remake of Minish Cap would be cool to see. I want a Breathier of the Wild. Just. Breathier. That sounds like a cool cheap eShop release. But when I said 2D Zelda, I was referring to a followup to Link Between Worlds. To be honest, I got tired of exploring and doing the shrines pretty quick. I know I'm in the minority, but it's nice to see that I'm not the only one who feels this way in the comments. I am glad that most people seemed to enjoy exploring the world, however. I'll probably get back to it someday, as I didn't hate it, but not for a while. As for the next game, I'm completely fine with another open world, but I personally hope that the world is smaller, with more of a focus on story and dungeons. Even if their are no shrines, I'd much rather have far fewer good dungeons than a bunch of quick shrines. I certainly wouldn't mind another classic 3D Zelda, either. I'll try the new game no matter what it turns out to be, as I'm confident that Nintendo will learn from the feedback of BOTW, and make the next one even better. Same engine, cos it's great and probably took a lot of time to make. Different world and story. Maybe try something more adventurous story-wise. I'd like to see a sequel to BotW since at the end of the main story Zelda tells Link that they are going to Lanayru because Devine Beast Vah Ruta has stopped working. It's what I was hoping DLC pack 2 was going to be. @Savino That is pretty dumb prediction when it just sold 10 million units. @bluesdance: Ha, I was going to post the same thing . . . us "blues" think alike! Open world is fine but in my opinion the combat and weapons systems of botw is just not right. One weapon that never breaks or if they do break there needs to be a way to repair them. A crafting system for example you have wood and stones combined you have arrows, a sword and ruby combined you have a flame sword. 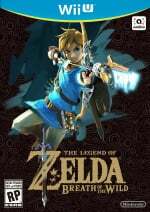 Extreme linearity is why BotW had to be made in the first place--the restricted format of Wind Waker-through-Skyward Sword was losing fans and bleeding money. Going back to that restricted format is a bad idea. I would personally love to see an HD-remake of Zelda 2...we already got a decent update to LttP style with Link Between Worlds on 3DS and we don't need any more 'Puz-Zelda'. People wants a new CDI game? MAH BOI. We get a new Zelda every 1-2 years, it’s been that way for a couple decades, so I doubt they have just started development. They likely had this one in development simultaneously. Sure, we only will really have one console so it can’t alternate between a handheld and home console release, but I doubt that means they’d slow down on the Zelda releases, it’s a big moneymaker. I wouldn’t be surprised if it’s smaller in scope though and possibly 2D or more experimental like Triforce Heroes or Majora’s Mask. Either way I look forward to it and hope the next BIG release is essential Breath of the Wild styled but with bigger dungeons and more story. I'm hoping people are level-headed with their expectations. Botw was so great that it may give people unrealistic expectations for the next game and it will disappoint. As for the direction of the series, I'm pretty sure it was said in a video or article that they plan on using the Botw open world model as the new standard going forward. I'm guessing we'll see more traditional games on the 3DS until that dies. Who knows after that. Didn't they already mention the next Zelda would be Breath of the Wild but Multiplayer based? Ocarina of Time x Breath of the Wild concept mix. Loved BoTW, but it'd be a shame if it just became more and more survivalist - hunting and (in the past) fishing are ok - but Zelda as a franchise is more special and may I say, more innocent in nature than all that - which is in every other open world out there. It felt a bit like Zelda got cheapened for going more (so called) mature. It's the heart in Zelda games that makes them special. The zany characters, the humour and crazy stories and weird missions. And mostly I just want proper big caves and dungeons back. And underwater expiration! - I really missed that. It felt like BoTW's world was half hidden from us and not to randomly come across interesting caves was weird when everything else was in place. Or to be able to dive it's depths. I missed them the most. I tell you what though - the wildlife! - to randomly come across so many species in BoTW was stunning. For a sequel please have 4 times as many animals and 4 times as many animations per animal. THAT is what made this over-world uniquely special! Regarding open world or more linear - I'd try to strike the middle ground, but make it big. Also hope they make a Skyward Sword HD at some point, or at least release it on VC for Switch (if that ever gets done...). Only Zelda game I've not played because I don't want to fork out so much money for a Wii Remote +. -Better dungeons (Divine beats were generally underwhelming for me aside from Vah Ruta and Vah Nabooris. Make more dungeons like Hyrule Castle). I think BotW is an 8/10 at the moment. It's a good foundation but far from a masterpiece. I want to see a sequel in this style but I'm also concerned that they wont change enough for the better after all the high praise they got from this game. (I mean look a splatoon 2 which launched with the inability to change weapons in between games without exiting the lobby. That was an issue from Splatoon 1 that should have never even made it into the sequel). I'm hopeful so fingers crossed. My thoughts exactly. Pretty much the point with this series, at least in my opinion. You could have put the Zelda 2 sidescrolling format as an option. I know it's not popular, but I would be interested to see what Nintendo could do with that gameplay style again. i would love playing a new 2D open world Zelda like A Link between Worlds...definitely this one! I trust nintendo with their next installment as I have never been let down. I would however love another Zelda in the same vein as Wind Waker. Bigger more populated islands with all the BOTW mechanics would be a dream for me! I'm hoping it will be like Ocarina of Time or Wind Waker. To me, not having item-gating in Zelda would be like Metroid without having doors that only open with the Ice Beam. Things like that aren't necessarily limitations - they're a legitimate part of the design. Add in the sense of progression that obtaining a new, unbreakable weapon gives you; and a good plot, where completing a dungeon actually makes you feel you've moved the story along. I'd also say Link's Tunic should gradually increase in functionality (heat/cold resistance etc) rather than having to craft several different sets of armour. It seems like they could get multiple games out of the BOTW engine, but it’s Nintendo (and specifically LOZ), so I fully expect to be surprised with the next installment. It’s probably just as likely to be an FPS as it is to be set in our current Hyrule. I’ll be playing regardless of art style and genre. i hope they leave the open world behind a bit and give us something more focused on story, music and bosses. A remake of The Adventure of Link is what i really want tho. @Minotaurgamer ur views on Wind Waker are heresy. surely such blasphemy is influenced by Gannon himself. It's already confirmed that all Zeldas will be open-world from now on. I hope they bring together the best parts of BOTW and past games. I don't mind the game being mostly open world, but I'd like some sort of progression and a better story. Make it so you can explore a lot, but some areas are possibly blocked till you get some classic items from dungeons again. They could make those returning items / weapons be ancient runes if they go for a similar setting. I think it is well beyond time for them to make Link's Adventure II: The Zeldas Strike Back featuring the voice of Link from The Legend of Zelda cartoon. How does Link manage with two princesses to say "Excuse Me" to while saving the world from the evil Gannon. Even though I like botw very much I would appreciate if the next zelda would be more focused on story with towns full of people etc and less ruins. More towns? Breath of the wild had like 9 villages full of peeps. More so than any Zelda before it. I'd welcome a more focused narrative. Begin To bring all Zelda games on the Switch in a hd version. Skyward sword at first. Ocarina and majoras mask after and all of them in the futur. A combination of BotW and Twilight Princess. Great interactive open world with great story and amazing dungeons. I really love BotW, sure, but I think I still have a weak spot for OoT as well, so ... I'd really like a fusion of both. BotW was already a good take on that idea, but I think going forward the formula needs some more adjustments, esp. in terms of balancing exploration vs 'dungeoneering', so to speak. Also, and more generally speaking, I'd appreciate better aka less-fetch-quest'y quest, a bigger enemy variety as well as just more activities within the world. Ultimately, I think there is no denying that BotW set the course for the series going onward, and as long as the roots are not forgotten and left to rot eventually, I'm totally fine with that. I think some way down the road, we'll get the ultimate fusion of the best ideals behind BotW and OoT, and that game will be at least as much for the ages as the two games that inspired it. Having said that, I had an excellent time playing A Link Between Worlds, so - in addition to the invariable next 3D Zelda - I'd be very keen to see where Nintendo could take 2D Link in the Switch era. I'm just estactic that all their ressources are now basically focused on a single device ... no more brilliant games held back by a single thumbstick, or a sub-sub-HD screen and so on and so forth. If they just expand on Breath of the Wild, we've got another dynamite game. Just imagine a sequel with a few more dungeons, more enemy diversity, underwater exploration, maybe some items(like a hookshot or what have you), and you've got another GOTY. I would like a BotW like experience but with more traditional-type dungeons and maybe a few more of them. However I'd happily have a more traditional 3D game like ocarina too. As long as it's not like 4 Swords I'm happy! Scale: Open world should be the format going forward. Add underwater exploration (good one @KimBread), new items. Ability to buy upgradable weapons, shields, bows in shops. Weapons can still be breakable but with the added ability to reforge, upgrade'em, or use potions to replenish durability. Dungeons: A mix of shrines/caves and return to full length dungeons with keys, minibosses, and "optional (not necessary to beat the game, but opens special mechanics)" dungeon specific item. Bosses should introduce more variety outside forms of Ganon. Bring back a Gleeok or Aquamentus. Combat: Skyward Sword/shield based motion controlled, 1:1 combat (right analog stick, manual-directional striking for the non-motion inclined). Enemies: Give us some Darknuts, Iron Knuckles. Should be a group of them hunting Link like the Yiga clan but more aggressive. Sword and shield wielding Stalfos (not weak, lame Stal variations of Bokoblins, Mobins, and Lizafos). Transportation: Horse back riding Zeldas are always the best so horses are a no brainer. But I'd like to see some flying mounts (bird, dragon). Maybe the ability to use a hookshot to grab flying mounts from the ground or sky. Rafts and homemade tree chopping rafts are still great. But sailing with a full fledged ship would be great as well. I've played fifteen entries in the series to date, so I think it's safe to say at this point that I'll pick up any main series Zelda title that hits the masses. Heck, I'll even jump on another Hyrule Warriors-esque game. My money's on a 2D Zelda, to be released on the Switch in 2019 or late 2018. If Nintendo really is switching (pun not intended) to a one-machine strategy, we would expect to see games typically found on home consoles as well as games typically found on handhelds. Since the N64 era, every home console Zelda game (except for Four Swords Adventures) was a 3D Zelda. Conversely, all handheld Zelda games (excluding the two 3DS ports) were 2D games. We've seen a 3D Zelda, now it's time for a 2D one. Also, I think any BotW-type game could just be DLC for BotW (followed by an all-inclusive version later in the cycle). I’d really like to see a Majora’s Mask scenario. Keep the same engine and art style but take the game in a weirder direction. Also get rid of breakable weapons. I found it cool at the start, but after going back for the DLC I like it a lot less. Didn't majora's mask release quite soon after ocarina of time? I'd expect something similar to happen. That engine is way too expensive not to. Maybe a bit more time than a year will give it a density upgrade. Should be... wait for it... wild! I loved Breath of the Wild, but I thought the story was kinda lacking... hopefully they can balance an open world and bring the plot back to the forefront instead of taking the Dark Souls approach to the story where it’s minimal. AND dear god, bring back traditional dungeons and have there be wayyy more than 4/5 mains and a million shrines. I didn’t like that either, but oh well. I love Zelda no matter what, but I'd strongly prefer it to be something like BotW. I'd still keep the shrines but I'd like to see the classic dungeon style return. The divine beasts were really cool though. I'd keep weapon durability, but make it so you can go to a blacksmith and either repair or beef up swords and other metal based weapons. Zelda II: Adventure of Link-style! I'd like it if it didn't have a to do list of 'Main Quest' and 'Side Quests'. I'm getting a bit sick of them in games to be honest, I'm pretty sure every open-world game has them. No idea what should be in their place though. Personally I'd love a more traditional 2D/3D Zelda game to fill the gap between Breath of the Wild and the next big one. I need me some proper dungeons and hook shot action! Breath of the Wild’s mechanics are a great base. I would like another “open-air” Zelda with a bit more story structure, A LOT more enemy/boss variety, and massive themed dungeons (not necessarily linear, though). I would love to see Nintendo take BOTW and add a new unique story with new characters. I'd be happy if they even let us play as the Champions. But ultimately I'll let Nintendo make the choices as we don't get any say. 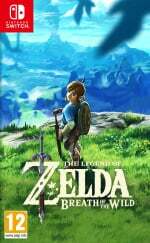 I think there is still a lot to explore in this new form of Zelda; there are a lot of design elements in BotW that suffer from being too open, and a sequel to BotW could have an opportunity to pull some of the openness back so that there are more linear, tightly polished sections within a vast open world. As great as Breath of the Wild is, and it is great, it didn't need to have EVERYTHING super open ended for open endedness's sake. The most glaring example for me were the dungeons. Did I really need to be able to solve the pieces of a dungeon in any order I choose? I just think it made the dungeon puzzles more disjointed. Even the first game wasn't this open; while you didn't have to do the dungeons in order, there was still an order, allowing for a difficulty progression (even if they didn't exactly nail it). Breath of the Wild just got easier as I went through the game since I got stronger much faster than the world did, and I feel pulling the openness back a bit would help that. A new console 2D Zelda would be awesome. I really miss those; they were always so good and refined. The 3d ones never quite do it for me though they're fun, except for (warning unpopular opinion incoming in 3...2...1...) Breath of the Wild. I was really disappointed in Breath it felt like a decade old Ubisoft title. Big world; nothing to do. If Nintendo makes another open-world approach I hope they take a look at what Horizon did. In Horizon the map was a decent size and filled to the brim with things to do. The Witcher 3 is another great example of a open world. I just hate walking for 15 minutes with nothing interesting happening. Also did not like the weapon degrading system. I never felt rewarded for going out of my way to do something because most of the rewards were weapons that break quicker than the time it took to get them. I would very much like the Hook Shot to return. I would like an open world game, but instead of many small shrines like BotW, several medium to large sized dungeons instead. it would be nice to play co-op game, where one player is Link and second one is Zelda. A they are saving Hyrule together side by side. hopefully we get ti face ganondorf in sword to sword combat this time around make him even harder as well. I want it to be absolutely nothing like Breath of the Wild. Loved the game, don't remotely want it to be the form of all the games going forward. Breath of the Wild's engine re-used & focus on exploration enhanced but with more traditional dungeons, the divine beasts were ok but the game left me longing for the temples of old with a non-linear twist to those dungeons. Throw out the weapon durability and I am good. I heard Sony is developing a Blu-ray drive for Switch, so the next Zelda will have more content like: MarioKart racing in Hyrule using MasterCycle™ and even Mario and Luigi showing up hopping in Ganon Kingdom. Something alike the very best Zelda! Skyward Sword! I hope the next Zelda is similar to BotW but with a heavier emphasis on story telling, which BotW really lacked, and bigger, more traditional dungeons. I'd also love a 2D Zelda. A Link To the Past and A Link Between Worlds are two of my favorite games ever. I'm anticipating the next Zelda entry will release near the end of the Switch's lifespan and be simultaneously available on the Switch's successor. It's a long way off, but I hope Zelda returns with some of their established conventions intact; unique items, discarding BotW's trite "everything is breakable" approach to weaponry, more dungeons, etc. The open world Nintendo made, while beautiful, is empty. BotW's followup must have cities. It's inexcusable how little focus went into developing cities and towns in BotW. Underwater exploration is another noticeable omission from the series' norms. While they're at it, bring back Loftwings as mounts for aerial exploration. Also, I would like to see Nintendo employ mechanics to climb on enemies (Shadow of the Colossus, Dragon's Dogma, etc.). Given the emphasis some of the earlier trailers put on climbing terrain, I always found it curious they never thought to implement this. Since it's likely going to be a long wait, I'm sure we'll see some HD remasters of older games before the new Zelda rears its head. I'm hoping Nintendo ports the 3DS remakes in a collection to Switch at some point. That would be fantastic. I'd like them to improve on the story aspect on BotW. I'm almost at the end of the game, and I admit I've been a little burned out on just wandering around Hyrule with no story and no lore. I would have like them to flesh out Hyrule's backstory more, add some lore in the game by text, for example, how has Hateno evolved since the Great Calamity, or stuff like that. The naysayers are still handing out delicious tears after BOTW - technically a Wii U game - outright mopped the floor with the competition and I'm not sure I want this to stop. Can't see a large scale Breath of the Wild sequel for sometime. Personally i'd like another 2D Zelda with an online aspect to it, i'm thinking Link to the Past style with a much much larger 2D world where everyone is on their own adventure and you can help out, imagine Phantasy Star Online within the Link to the Past world. In fact, you could have the island from Link's Awakening as a location too or even locations from the Oracle games. Open world but with some traditional dungeons with weapons at the heart of them that will not break from use. Breath of the Wild style, hands down. Apart from Wind Waker, BotW was my favorite 3D Zelda. (Honestly I didn't really enjoy the others. They felt so rigid.) I'd also love to see Zelda as a playable character, maybe some sort of joint-adventure to save Hyrule? I think that's the next big evolution of the series. Make it less about saving the princess and more about teaming up with other heroes and taking down the threat to the kingdom. @Nikkarin Totally agree. Sign me up for that! I really enjoyed the more linear style. I loved Breath Of The Wild, but there is nothing like scouring a dungeon for a relic to vanquish the foes in your path.. I did like the fact that you got all the gear at the beginning. I truly missed the hookshot! why are there no voting options for loot boxes? Any of the above please. Or mix of the 2, a 2D while making some sort of 3D one for later. I'll buy whatever. I trust Nintendo. My daughter is nine and just this weekend was like "I'm gonna beat OoT again" and just went start to end like it was nothing. My kids are hooked on Zelda probably even more than I am, so even if only for them, I'll buy each and every new Zelda title Nintendo provides. THAT SAID, much as I grew to appreciate (or at least accept) the breaking equipment thing, the Master Sword should have been exempt from that right out of the gate without the trial. I also wish there had been a little more to the story. I loved piecing together the jumbled cut scenes to learn what had happened, but I was left wanting more. So, if they do something similar to BotW, please tweak the experience a smidge. Link Between Worlds 2, please. Perhaps someone already said it but I would love another Breath of the Wild open world with more traditional dungeons, even if it meant it was a bit more linear. Honestly I think the system of "Link Between Worlds" would be a perfect fit with a huge open world like "BOTW". Some kind of central item shop where you can rent/purchase key items that you need to use in order to reach and complete a dungeon. I thought that system worked really well for the game it was in and I imagine it would work well in a game like BOTW. "Can the franchise ever return to its more linear roots after the gloriously expansive open-world gameplay of Link's latest adventure?" Zelda's roots are open world. The first Zelda game was them putting you in world with a sword and letting you free to explore, even to do some dungeons out of order. The linear Zeldas came later. @Damo Can you credit the artist of the fanart you used? It's genuinely very nice art and I'd like to know who they are. @gatorboi352 I understand, my brother feels the same way as you and he's a bigger Zelda fan than me. I'm not sure if I'm just more of a traditionalist or just prefer more linear experiences, but he's the opposite of me and put Breath of the Wild as his new all-time favorite Zelda title. Regardless, I still enjoy the game and it'll be interesting to see what form the next Zelda takes! Could this be a Successor to Breath of the Wild I wonder, or could it be in the same timeline as another Zelda Game (we can expect lots for the Switch in the coming years anyway as Nintendo's only focusing on that, a Console-Handheld Hybrid. I'd actually like to really return to the roots of the original Zelda but in 3d. Basically open world like BotW but real dungeons that can technically be done in any order. But I really missed real dungeons, story, and unique items. I feel like it's a Shane they chose to through those all out in order to have an "open world". There's already limits on the distance you can climb from the beginning, so that's how they locked you out of areas as opposed to items. Really there's no difference between needing a new item or needing more stamina. So I think it would be amazing to have a world like BotW but with cool themed temples and unique items as opposed to some cool shrines but many repeats. @Savino Almost every other system nintendo had their lifespan has been longer than four years..so you have a unlikely guess. 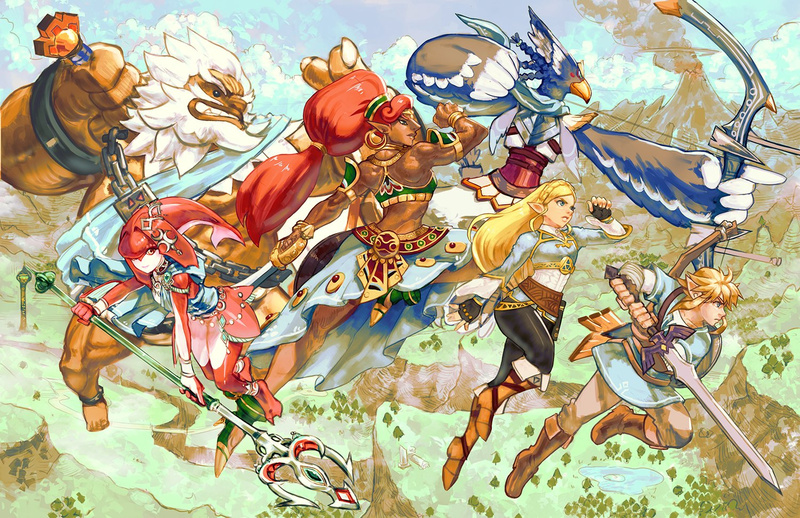 @CuriousUserX90 Next in line could even be a HD Remake of Skyward Sword. I'd like to see the series continue with a mix of Skyward Sword + Breath of the Wild, with a more vibrant, full world. I'd also like the classic series to continue with the foundation of A Link Between Worlds to build on. ALttP, Link's Awakening, and the Oracle games are the standouts from the classic series, and taking cues from those would serve that iteration of that side of the franchise quite well. I don't care which system it would head to, 3DS or Switch. Continuing the series with one of each type, rather than trying to combine them together - that seems best. (Twilight Princess was the lowest point of the series, I think. All of those linear hallway sections, no real sense of exploration. It was awful. It was followed by the horrendous DS entries. Bad time for Zelda all 'round. I would like to see a new 3D open world adventure, but make it a bit more in-depth in terms of story and world than BotW. Let's say, take a complex story, with deep characters like in Twilight Princess, and dungeons and caverns from Skyrim (plus the ability to choose your race, gender, and appearance), and that would be a great game in my opinion. But either way, no matter which route Nintendo takes, I'll play it anyway (so I selected that option instead of the 3D open world outing). As of now, I have played, beaten and/or completed every Zelda game released in the main series, except for Four Swords Adventures and Tri Force Heroes. I’d love to see a futuristic sci fi Hyrule at least once. Something to really shake up the series. Something in the style of Super Metroid! BotW was beautiful, but at the same time it was so empty and lonely to the point I stopped having fun halfway through. It's not the kind of loneliness that Super Metroid was able to provide, it's something negative, related to the lack of variety and excessive repetition of enemies and environments (specially shrines). I want something fresh and unique from the beginning to end, just like OoT and MM were. "from the epic Switch and Wii U outing"
Should be: from the epic Wii u and Switch outing! The next Zelda should be a very strong 2D/topdown title. It would be a shame if we would never see a 2D/topdown Zelda again! But should it be open world or more like The Minish cap? Tricky. I loooovvee Minish cap by the way! @FriedSquid Me too - I looked around for sources but none of the places online hosting the image credit the original artist, so I assumed it was perhaps official art? If anyone knows any different please tell me and I'll add a credit right away. Chances are it'll be a top-down game, as that fits with their pattern... the real question should be which system it'll be on. Top-down Zelda games have typically been on handhelds, with home consoles reserved for third-person games, but the Switch's hybrid nature raises the question of whether this will continue. Despite what many people are saying, the 3DS family is not being abandoned just yet (releases have dropped since the Switch was released, but not stopped), and we could also see a successor system released in the next couple of years (either as a freestanding handheld, or as a budget version of the Switch). Gimme BOTW world and mechanics, refine the combat and change some of the weapon degredation elements. Turn the world on its head and populate it with more characters and dungeons and voila. I think a direct sequel would work and then could save a new 'reboot' for a future installment or console. GameCube had over 5 years. It launched September 2001, Wii launched November 2006 as Twilight Princess came out on GameCube. The only Nintendo systems that had a lifespan of 4 years or less are the Gameboy Color and Virtual Boy. You could possibly count GBA as what turned out to be it's successor launched within 4 years but it was still getting first-party games over 5 years after launch. More of the same for me please. No interest in going back to the formula that was getting really tedious by Skyward Sword. It can be refined of course, that's what sequels do but BOTW is brilliant and revived my interest in the series. Personally I'd wager the next one will be a traditional overhead game. The last and third-last option are virtually the same. I hope we have a mix of open world with the proper challenging dungeons and special weapons which don't break. It would be awesome to explore a new world gathering resources but then, you find a dungeon and inside it you get a special tool to help you on your journey. For example, we could find the chain with that massive iron sphere which would enable us to defeat certain bulky enemies previously unbeatable. This would give us the sense of progression without cutting out the exploration of the open world, IMHO. Being able to go underwater would be great in my opinion. And using classic items from the series instead of the runes would be another positive step. Add in proper, Zelda style dungeons and it would be a masterpiece. Though I really see so much potential to expand upon the open world concepts with Zelda that it's hard to focus my imagination. More and better sailing like in Windwaker perhaps? What about masks and the excellent area designs of Majora's Mask? A Ganondorf game. Not a game "with" Ganondorf, and not a Ganon game, but a proper, full Ganondorf game. I don't care if it's all backstory, or a joke AU, or fanservice, just gimme a game that revolves around him instead of him being almost entirely absent except for a few (mostly voiceless) scenes and then a boss fight or two. That was definitely the most disappointing thing about Breath of the Wild to me and my sis. Um... its roots are in open worlds. Remember LOZ 1? Go almost anywhere right from the beginning? ...the Internet hates me now! @Savino No it won't. You keep ignoring the history of nintendo which has repeated numerous times over. All of those consoles were outdated but still were in their lifespan. It wasn’t the open world that I didn’t like. In fact, other than the sparse fast travel points, it was open world done right. What about everything else? @SaKo That's brilliant, thanks - will add the credit now! I'm surprised more than a quarter of people want a new Breath of the Wild. Personally I think it's the worst thing we could get. I love Breath of the Wild but the next Zelda entry shouldn't try to capture lightning in a bottle twice in a row. But who knows, maybe this Breath of the Wild 2 could be to the original game what Majora's Mask was to Ocarina of Time? I love BOTW, by I would like a traditional Zelda just bigger and make it harder! Mix both??? A Dutch dub would be nice but Nintendo will probably be too lazy to deliver us that so. Why not make an open world adventure based on the first Zelda. You can go to the different dungeons and explore instead of looking top down at the game. Zelda has always evolved its art style and I really liked it every single time they update it. I can't imagine how it'll be like if its 2D. Surprise us anyway! 2D or 3D is fine. Open world with traditional dungeons. Lots of villages and cultures. No stamina meter or weapons durability. I prefer traditional dungeons. They're more impactful and memorable as each one is unique and has its own personality. I know there are a ton of shrines in Breath of the Wild, but they're very repetitive and visually they all look the same. I'd also like a return to having music in a Zelda game. For a series so famous for its scores, the near total lack of music in Breath of the Wild really hurt the experience for me. It was a bizarrely silent game. Even when music did play it was generally pretty bad, and a long way from the quality I expect from Nintendo. I'd like the next Zelda game to have a stronger visual style too. Wind Waker remains the high point of the series visually because it had such a beautiful, memorable art style. Breath of the Wild looked pretty generic, ugly even a lot of the time. The environments especially lacked imagination for most of the game. I trust Nintendo on this, and I support this series as it is just so magical. -Make Link directly a Knight, probably leading the military or defense of Hyrule Castle. Those are things that I would love to see in the next game, hopefully there will be some in the new game. Further down the road than both pokemon and metroid, don't expect this intill 2020 lol. Suprised no one is going made over a logo. oh nintendo haven't put one up. here you go Zelda, now everyone go insane lol. It would be nice to have the map expanded to be even larger. In BotW, looking out to the north from Death Mountain, there is so much land that would be so fun to explore. I would like to have vast amount of land that you could just take your horse and ride across just for the sake of it. Completely optional of course. There could even be something interesting to find far north of Death Mountain but most importantly, vast amount of land to traverse by horse just for the fun of it. I think it would be really epic to be able to have that. The areas in BotW aren’t big enough for this. Imagine an area half the size of BotW’s map that is just a big open field with mountains in the distance and a nice sunset/sunrise infront of you while just riding into the distance. Also no enemies, just emptiness for you and your horse. Trivial for this next installment is proper dungeons, larger enemy variation, better and more interactive NPC’s that feel even more alive and real, bigger and more villages and better story. One thing they need to do is to make the stuff you can do and find in the game more varied. Not just collecting korok seeds and completing shrines. It felt a litte too repetitive with BotW, allthough fun at times. They also need to add proper caves, not just small holes but actual caves to explore. Also better rewards for completing stuff and explore different areas. The stuff at the end of a maze or an enemy infested region in BotW felt for the most part pretty underwelming. It felt like a big space to explore but nothing really exciting to find or reach as a destination. I want another Zelda like Breath of the Wild. It is clearly the best and most natural Zelda ever made since the first game. Ocarina of Time and Majora's Mask were strongest in its formula. Skyward Sword and Twilight Princess were the most lacking. For the next Zelda, I know how to utilize the hookshot while Link climbs to scale higher mountains and walls. Breath of the Wild is in need of secret grottos, caves, and new enemies like Dark Nuts, Stalfos, Dodongos, and Like Likes. The next Switch Zelda should be able to achieve such things. No rushing the game out this time and no DLC please. Because damn, the first dlc was just them finishing the game, the second one was just 15 more short shrines, a super short and not very clever dungeon, and a motorcycle for $20 that took over 6 months to make. The game cost $60 and gives you 1-200 hours of gameplay easily. I don't expect DLC to add the same portion of gameplay, but it doesn't even add ten hours. Please read this, I think it’s a really good idea if you like keep the BotW theme And maybe change it a little. But after you beat Ganon I think you should be able to restore hyrule to its full purpose and have like unlimited side quests where after you beat ganon u can still help people out and be able to make everything how it was, and like still be able to communicate with Zelda. I felt unsatisfied after beating ganon because it’s like you never beat him And Zelda is not there and you couldn’t go in the castle (without being attacked) and that made me feel like the game kind of just drops off. I really hope you consider this idea because I would feel so satisfied and happy if I could restore hyrule and the castle to its full purpose and be able to see Zelda. Please, please, please consider this, I would tell a ton of people about it if you just made it a little better. And don’t get me wrong, the BotW game was very fun but I just feel like if you considered what I said it would make it even better. Thank you! Please read this! This is probably blasphemy, but I would love the option for coop play for 2 players (offline). Use a dynamic splitscreen + (pretty long) leesh for when the two players drift apart. Second player joining in should be easy and hasslefree. Both players can progress, unlocks could be attributed to the Main player, depending on type maybe? I realize this somewhat goes against the wonderful "free roaming" aspect of this Zelda game, but I simply would love to play this coop with my daughter and help eachother out with the tougher fights. Right now we each have our own game (Wii U) and we take turns, while the other sits next to the one playing, giving advice (shouting what to do..). I would still want the game to be developed around a solo player, so I would not want them to break all sorts of mechanics just to cater to coop play. Just the option to join in, adventure and fight together. If that means fights become unbalanced (too easy) for 2 players then that would be fine with me. NB I do agree with some of the other comments about the art work. Shrines were pretty generic, landscapes same and it needs more music. It's simple. They have PERFECTED the over world section, but now they need to perfect the dungeons and bosses. They must return to at least 7 or 8 massive dungeons with a huge or unique boss battle at the end of each. Skyward Sword suffered from repetitive boss battles, the low point of BOTW was hands down the boss fights. It was the only thing missing from Breath of the Wild, and it would be the perfect game in my eyes. Breath Of The Wild was so amazing I've been playing it for a year and I'm still always saying "Whoa! Babe! Look at this!" But I still gotta say Ocarina of Time is my all time favorite game. How you had to go back in time to change something for when you return to current day time was so cool. I like the new weapons, but I think the Master Sword should always be available for use. I kinda liked the whole "Dungeon A has item X, item X gets you into Dungeon B which has item Y, which gets you into Dungeon C." But BOTW was so great I trust them to make another good one and will buy it no matter what. One thing I must say, though. The Dungeons were cool, but there were only 4 and they were pretty short. I don't even count the Dungeon under the Shrine of Resurrection because it was so short. Of the many Zelda games I've played, Twilight Princess and Ocarina of Time had the best Temples/Dungeons. They both had several of them, and they all took a while to beat, with awesome boss fights in most cases. Wind Waker had some good temples, too. Oh, I almost forgot. If they do keep the same format as BOTW, they have got to bring the hookshot into it. I can't believe there was no hookshot in BOTW. Also the "Double hookshot" thing in Twilight Princess was really fun to use. So maybe add a double hookshot for some extra fun in the next one. Make the weapons last a little longer before they break, and have more places to store weapons we want to save for later. Make the Master Sword ALWAYS available for use. And the classic green hat and tunic I would've liked to get earlier in the game. Link should be wearing that most of the time. @Damo Breath of the wild was awesome im hoping you have something like it up your sleeve for the next zelda game. I would like to have twilight princess and wind waker on the switch. I said in the poll that I wanted them to go back to the classic 3D games, but really? I do like the exploration available. Fuse that with classic dungeon design to make the story more appealing to play through, nix the weapon durability system and weather system, and I would love that game to pieces. 3D open world, just as BOTW... But way more enemies, some bigger dungeons, and please, an after Ganon world. Get rid of the destroyable weapons (excepts for sticks and other non-weapon weapons), that system affected how much fun the game was for me, it should not have been put in, in the first place !!! Large, open overworld to explore since that's what inspired the series in the first place. It needs more towns/settlements. Large, traditional dungeons and unique bosses because the shrines/Divine Beasts don't cut it and all look the same. Need more of the traditional enemies. Primarily non-linear, but maybe have some linear bits for the sake of the story. HD-2D art style, but in brighter colors than what we see in Octopath Traveler. That game is gorgeous. 16-bit music with fanfare for chests and items, bring back some of the older songs, and have music play an important role again. Find rupees and hearts the old-fashioned way because the lack of rupees everywhere in BotW implies the Minish are extinct and that's pretty sad. MC was my first 2D Zelda. Bring back the green hat and tunic! The Champion's Tunic and ponytail grew on me, but I still want my green hat and tunic. The Master Sword should be required. There should also be a hookshot. Destructible weapons are a pain and need to go. I like rain, but stop making it so dang hard to climb! Keep the ability to run and jump.